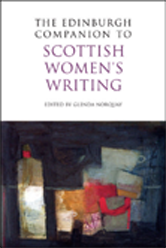 Explores the richness of women's contribution to Scottish literatureBy combining historical spread with a thematic structure, this volume explores the ways in which gender has shaped literary output and addresses the changing situations in which women lived and wrote. It places the work of established writers such as Margaret Oliphant, Naomi Mitchison and A.L. Kennedy in new contexts and discusses the writing of critically neglected figures such as SÃ¬leas na Ceapaich, Mary Queen of Scots, Anne Grant, Janet Hamilton, Isabella Bird, F. Marion McNeill and Denise Mina. There are chapters on women in Gaelic culture, women's relationship to oral traditions and to key literary periods, women's engagements with nationalism, with space, with genre fiction and with the activity of reading.